Throughout the widely praised Camulod Chronicles, Merlyn Britannicus has been driven by one sacred dream -- to see Britain united under one just, powerful king. 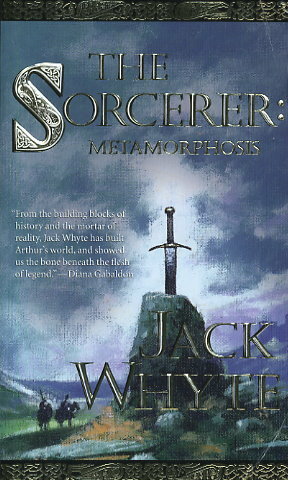 In The Sorcerer: Metamorphosis, it is time for the Sorcerer to fulfill his promise -- to present the battle-proven Arthur as the Riothamus, the High King of Britain. When Arthur miraculously withdraws the Sword of Kingship from the stone in which it is set, he proves himself the true and deserving King -- sworn to defend the Christian faith against invaders, and to preserve Britain as a powerful, united force. The Sorcerer has fulfilled his promise. The King is crowned, Britain is united -- and the face of history and legend is forever changed.